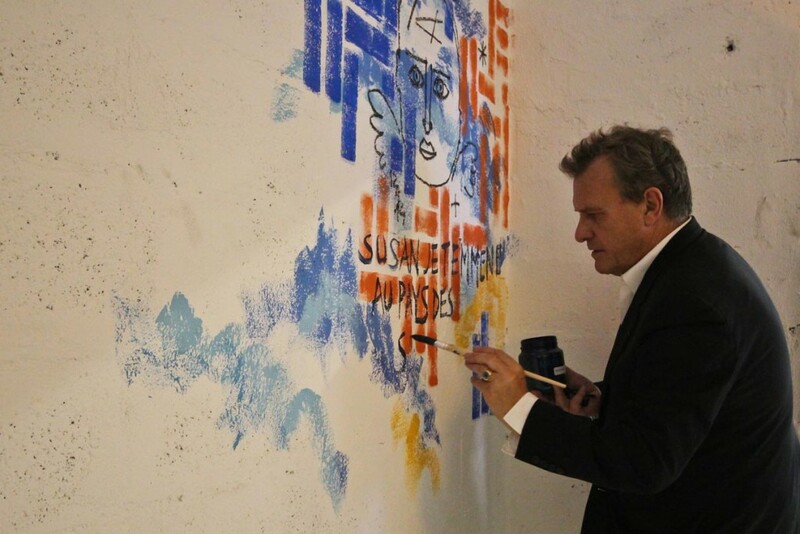 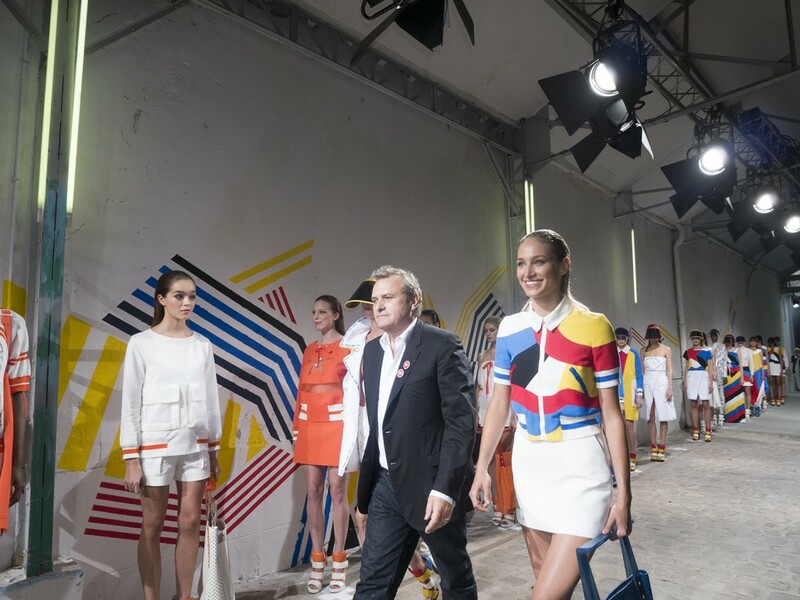 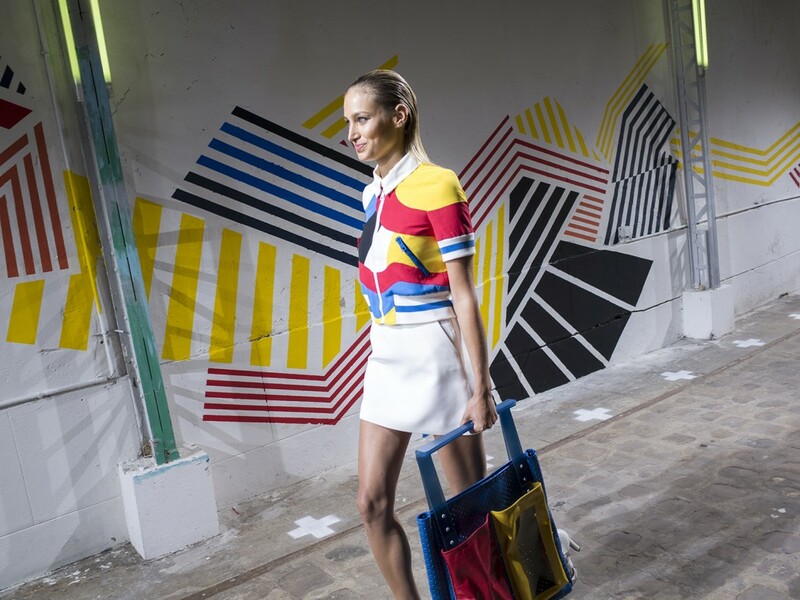 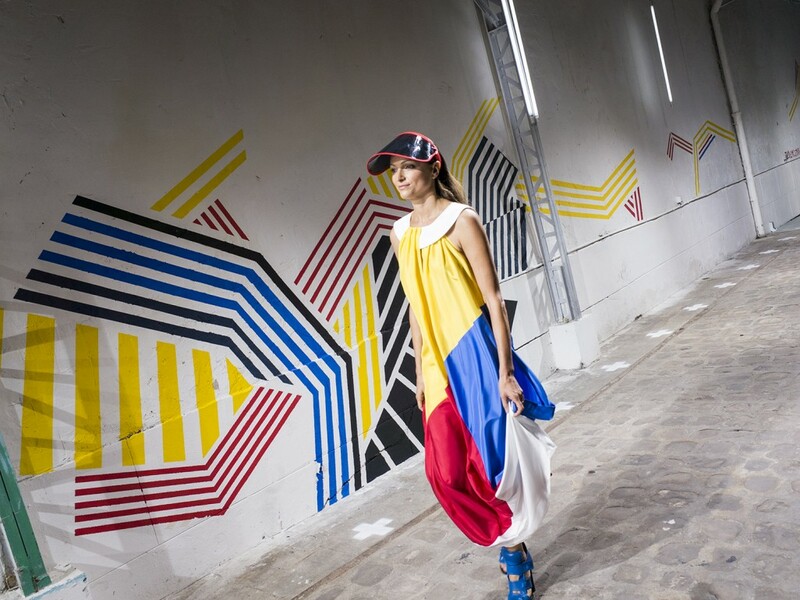 Jean Charles de Castelbajac teams up with artists Lek & Sowat for his Spring 2015 Ready to Wear fashion happening. 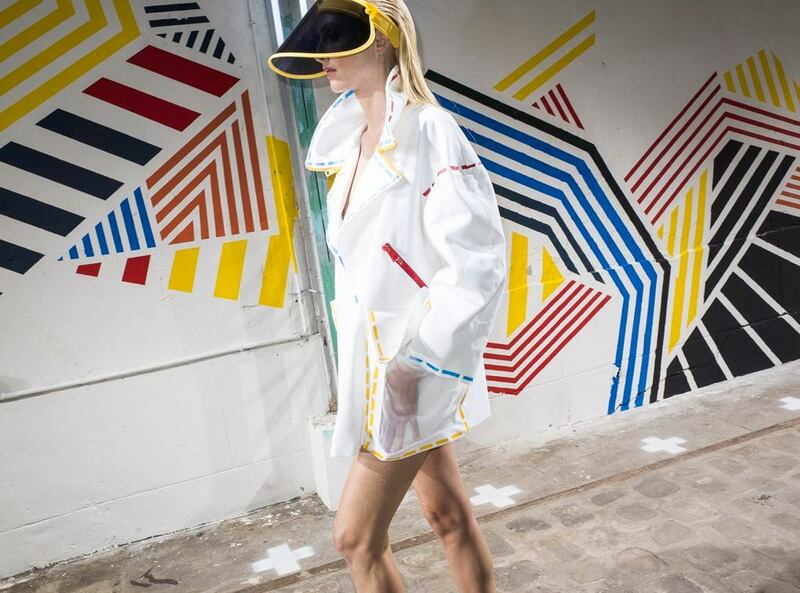 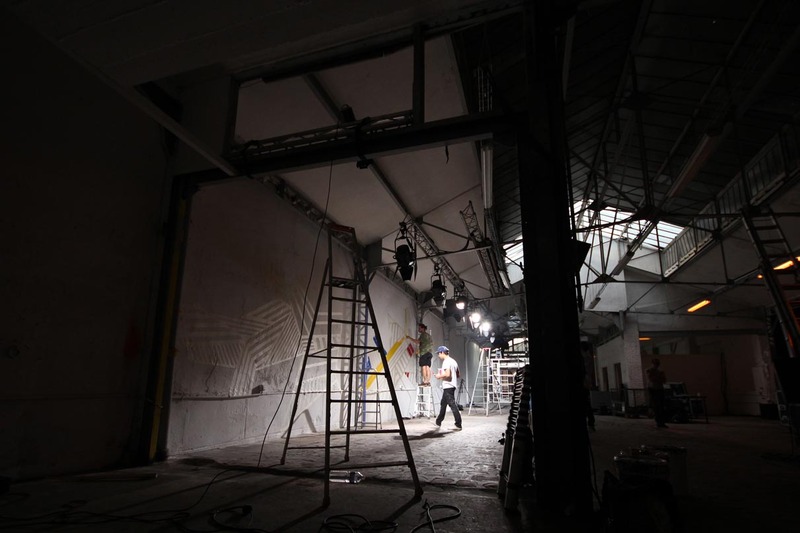 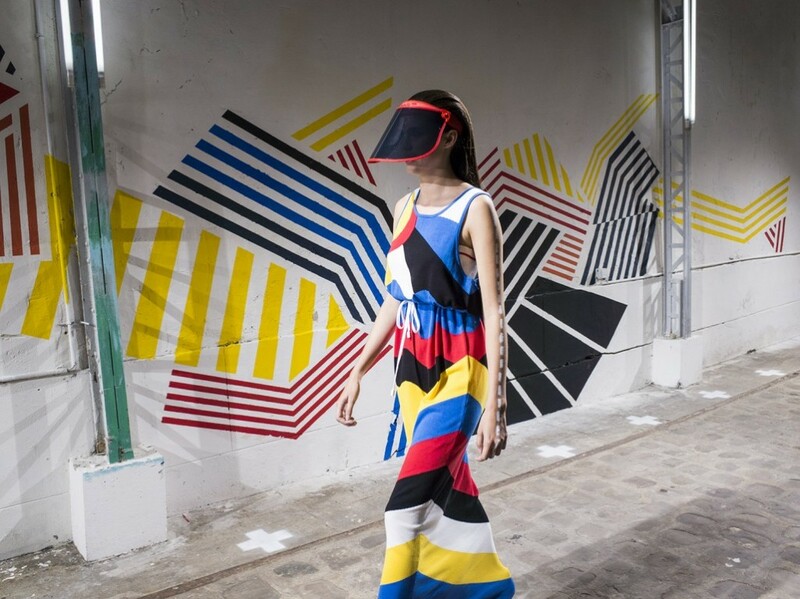 After taking part last year to the Lasco Project, the urban arts program initiated by Lek & Sowat at the palais de Tokyo, world famous designer JC de Castelbajac decided to trust his new collection’s scenography to the dynamic artistic duo. 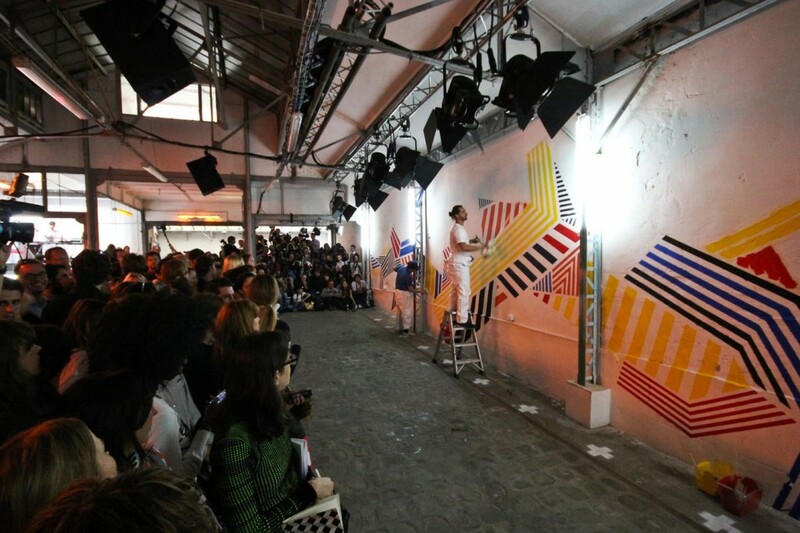 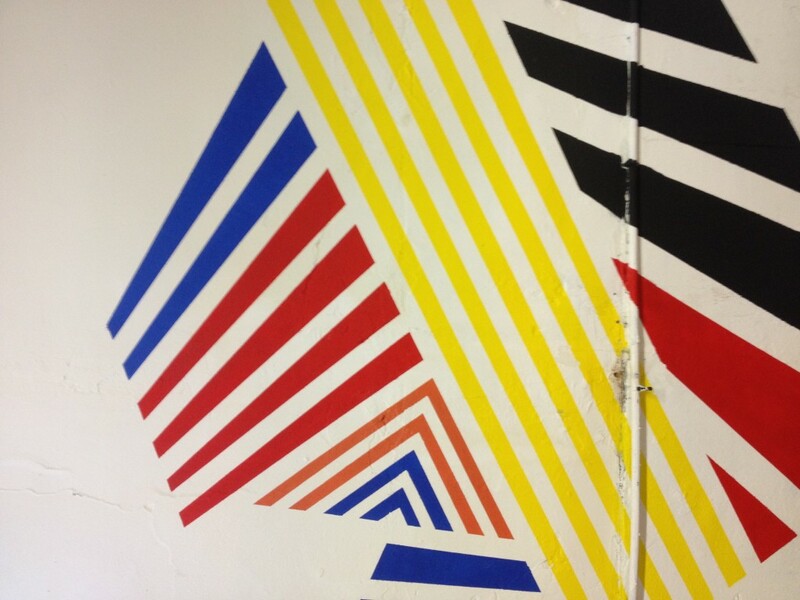 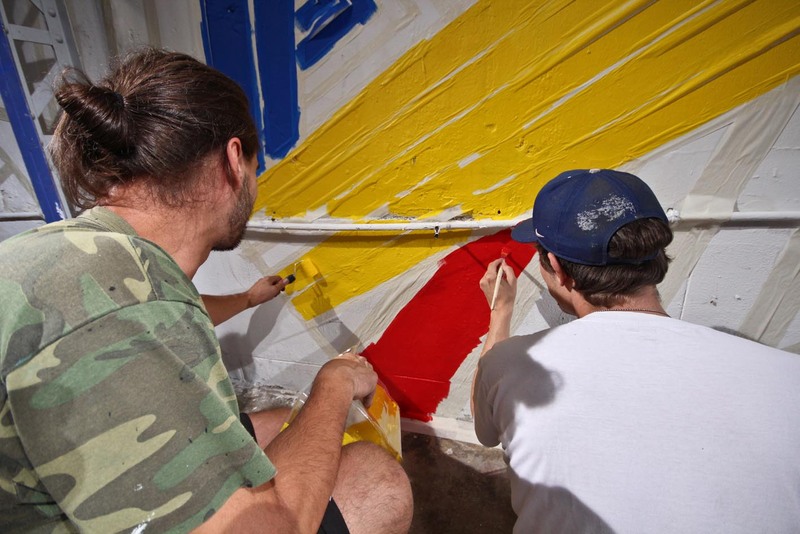 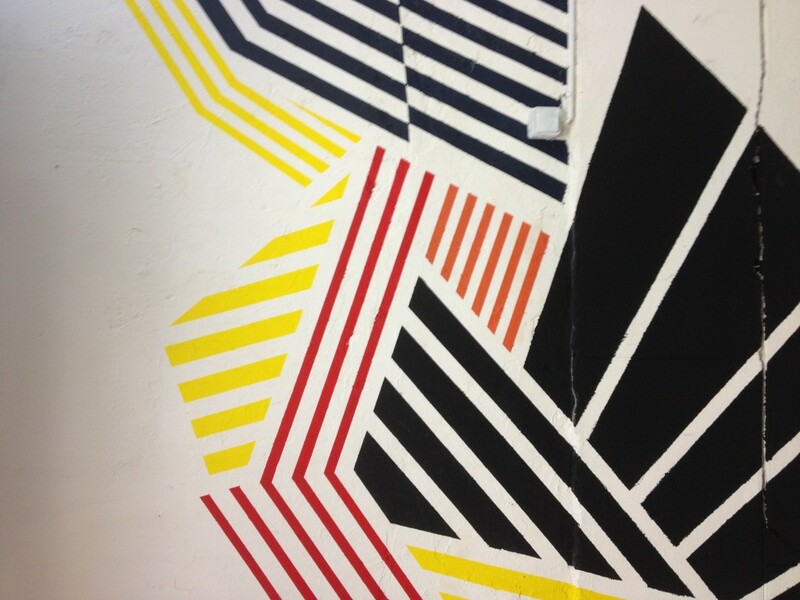 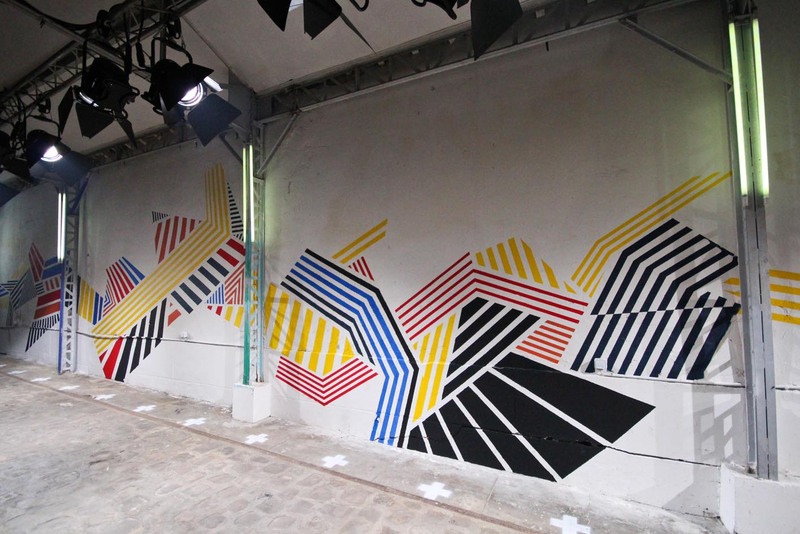 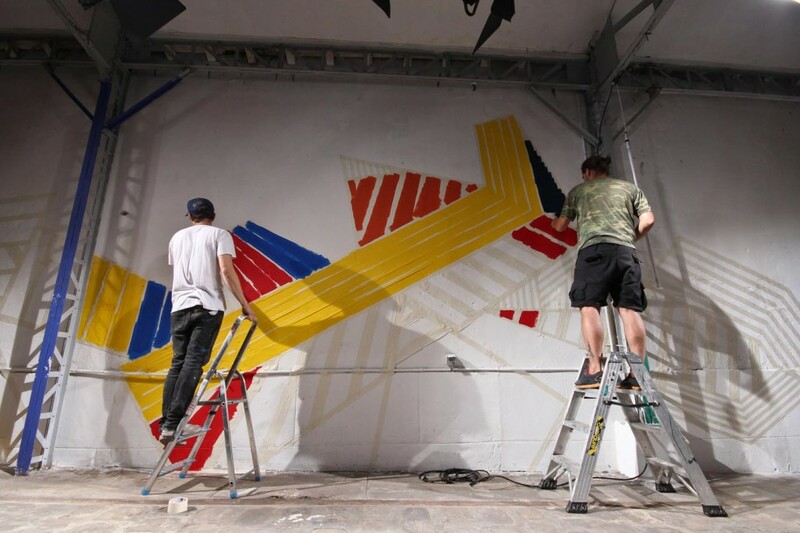 Inspired by Castelbajac’s new collections patterns and color combinations, as well as the Dazzle Ships, a form of naval camouflage popular during world war one, Lek & Sowat created a colorful and abstract mural all along the garage wall where the show was set, finishing their composition in front of the crowd just seconds before the first non professional models started walking on the urban runway. 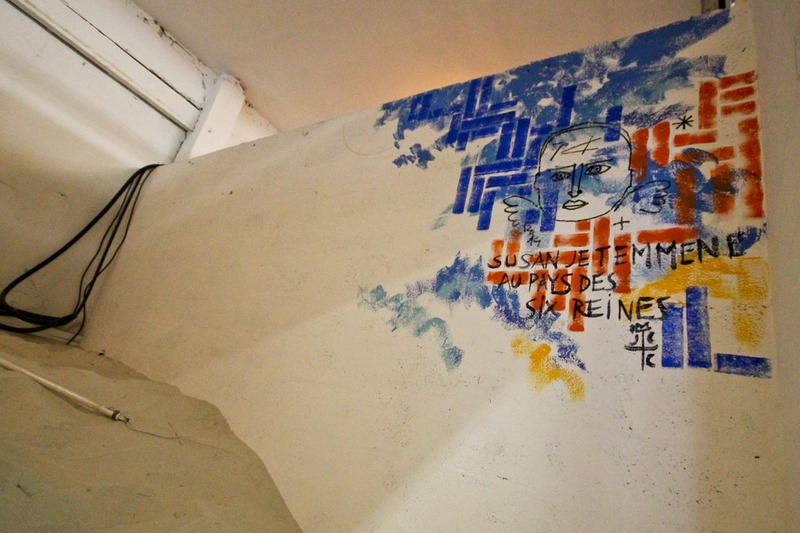 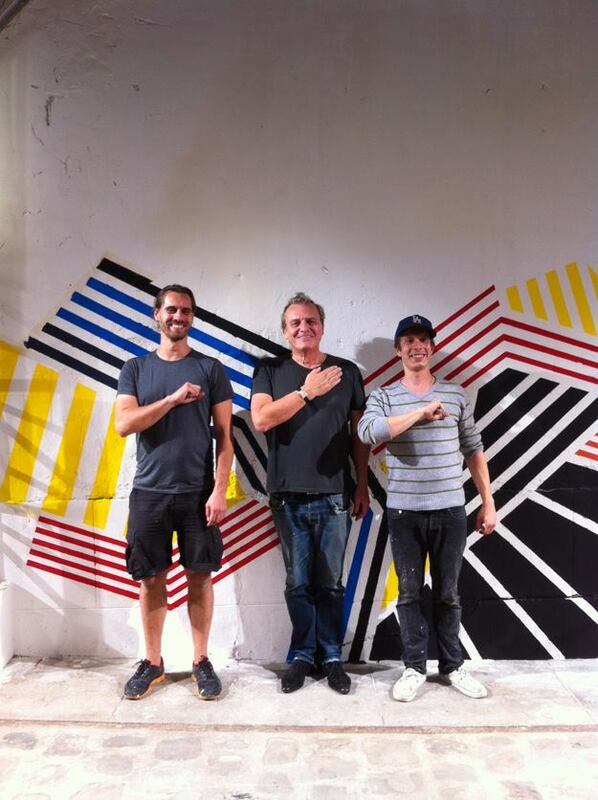 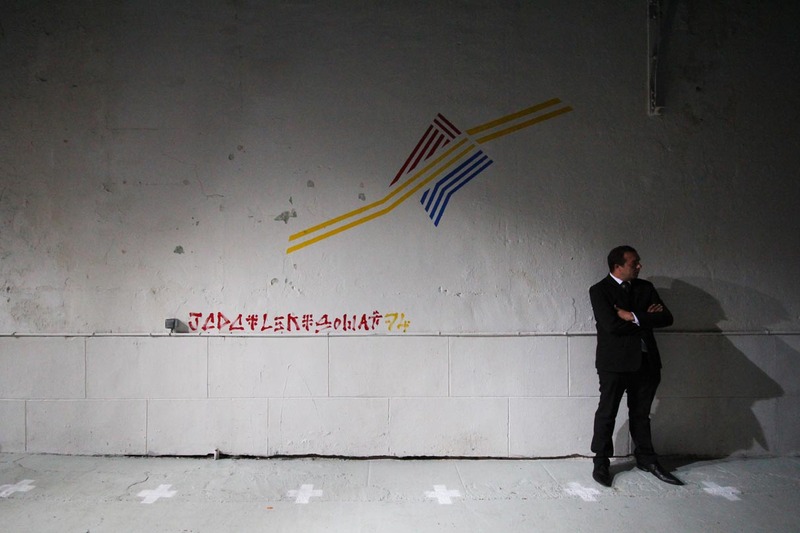 This collaboration with Lek & Sowat marks a new chapter in Jean Charles de Castelbajac’s life long interest in urban arts, as he is famous for the hundreds of angel figures he has drawn on the French capital’s walls and his close ties and many projects with the pioneers that where Keith Haring and Jean Michel Basquiat.